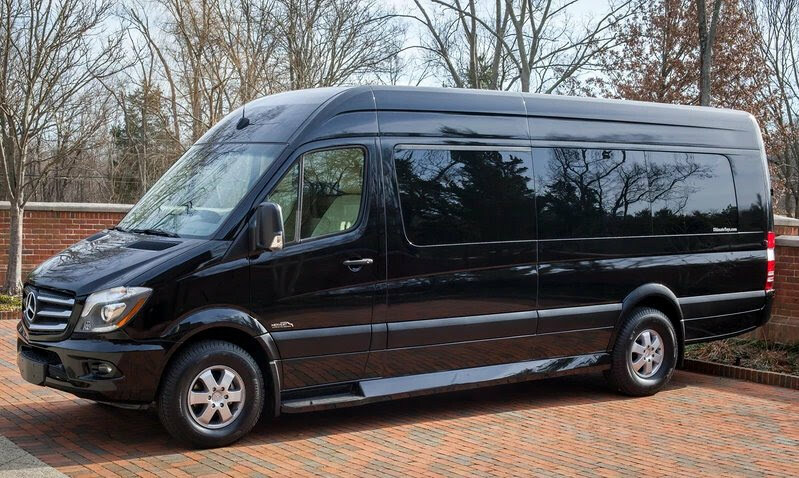 2020's Now Available! 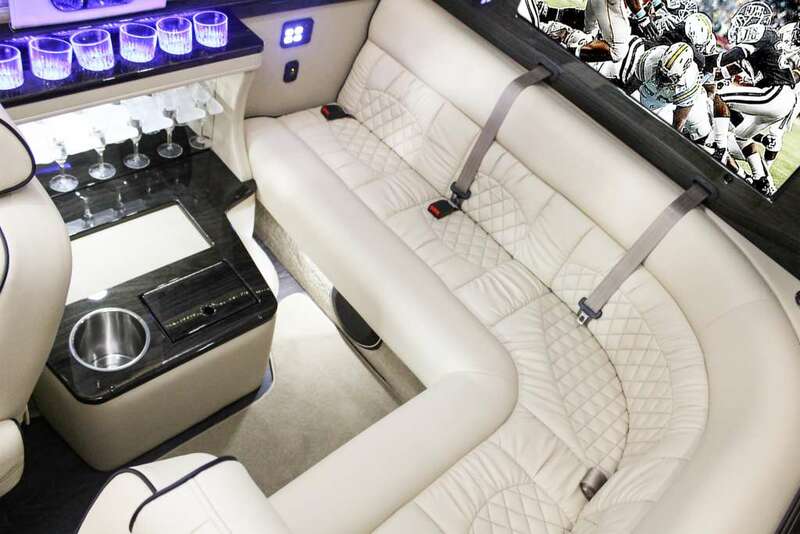 The Ultimate Limo comes fully equipped with comfort, luxury and style in mind. 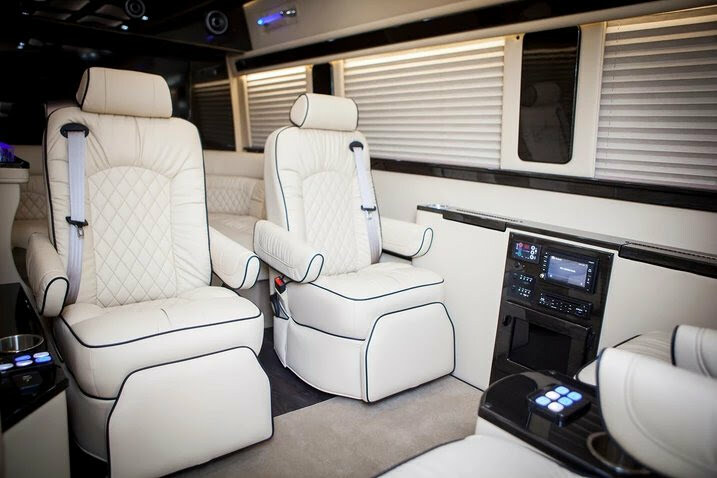 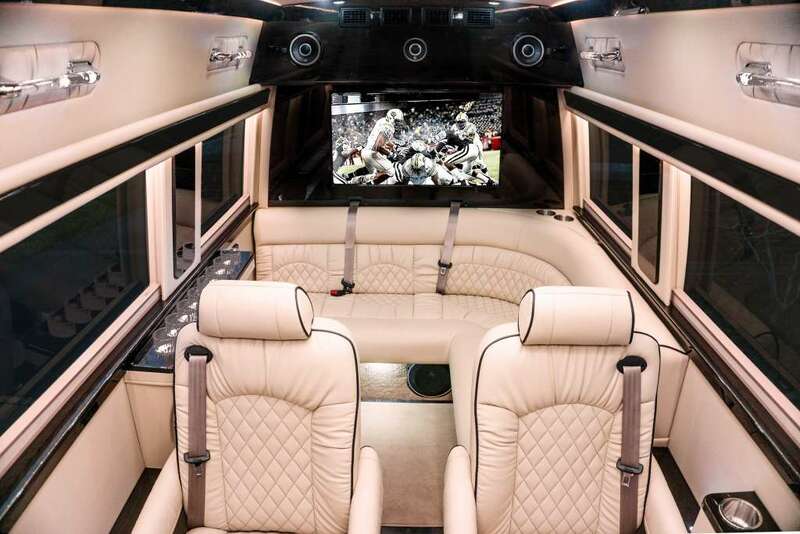 From the beautiful custom woodwork and plush interior to the state-of-the-art electronics, high-end audio and first-class amenities, the Ultimate Limo is the classiest and most comfortable limo on the market. 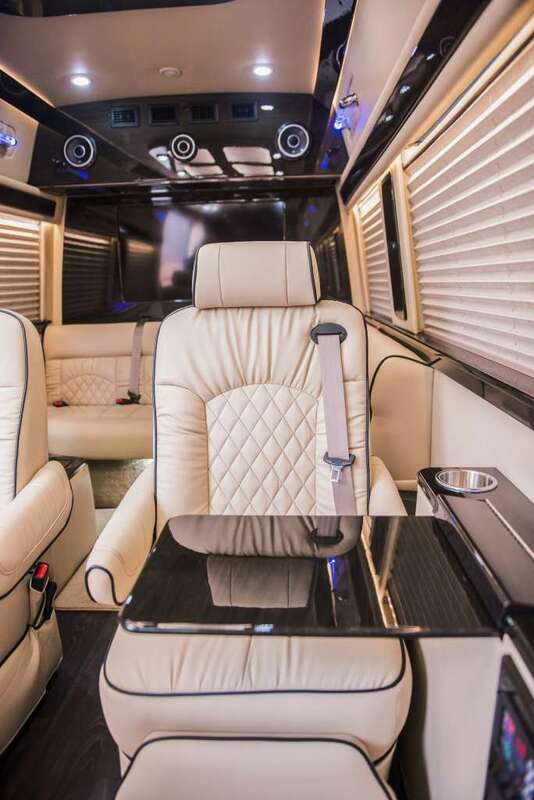 There’s plenty of seating for everyone and so much headroom that passengers can easily stand up and walk around. 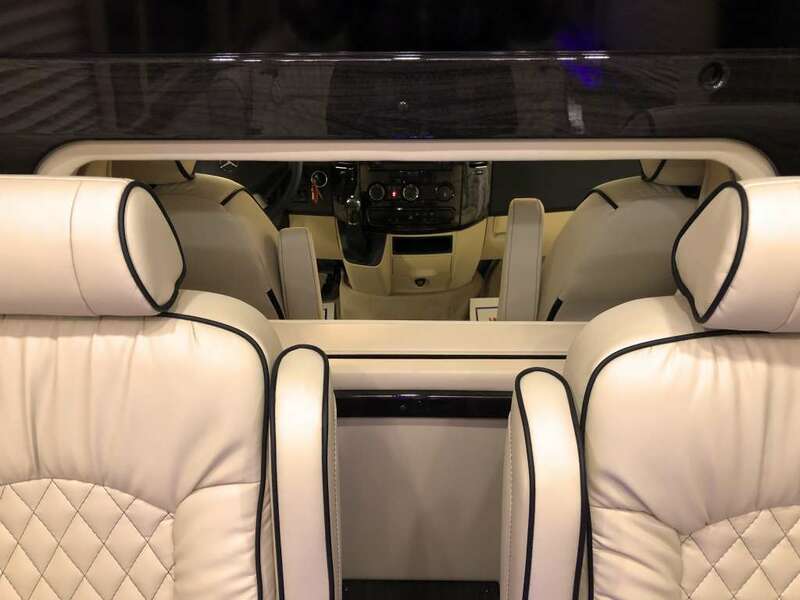 There’s even a partition with a power window separating you from the driver’s area for complete privacy – simply lower the power window or use the intercom to talk with the driver when needed. 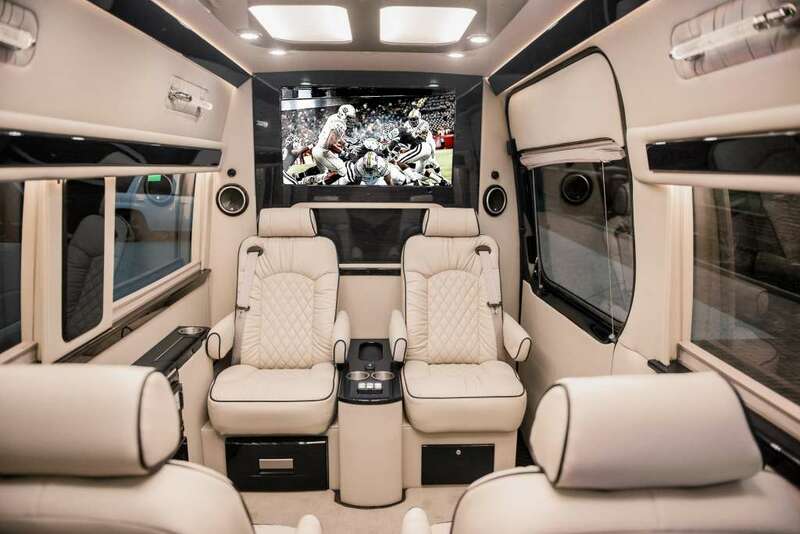 This Sprinter is completely customized with 4 reclining captain’s chairs for passengers to relax and put their feet up while watching TV on one of 2 large 40″ flat-screen TVs. 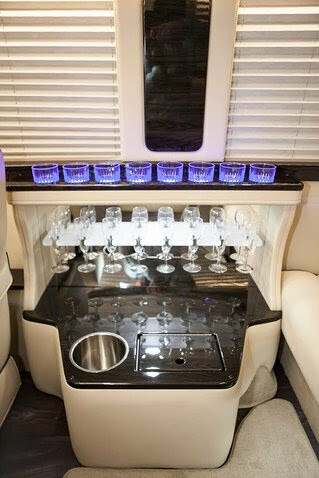 There is also a super-comfortable “J” lounge seating area – a great place to hold a casual conversation or laugh over a few great stories while enjoying a drink from the elegant lighted bar or favorite refreshment from the refrigerator. 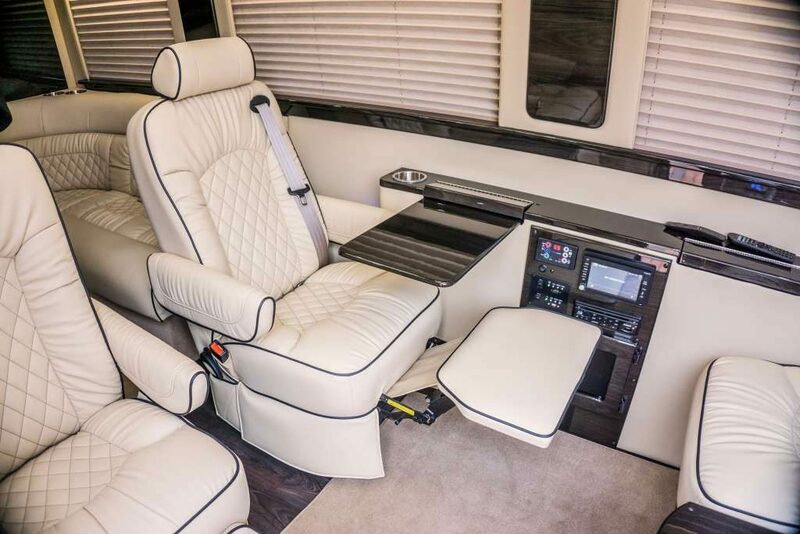 When working on the road, use the convenient folding lap tables. 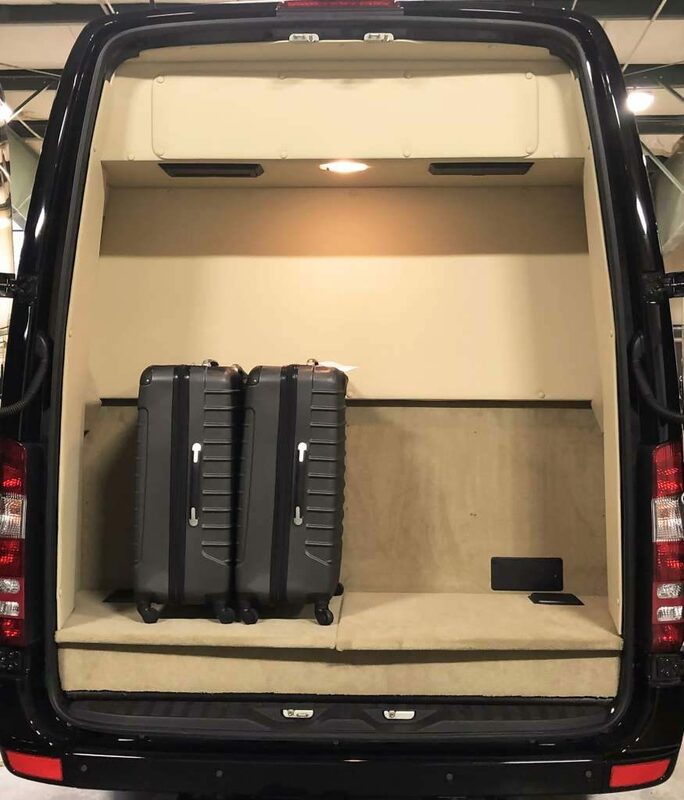 Or, use an optional tabletop in the “J” lounge area – perfect for spreading out work papers, laptops and other business essentials when traveling between offices or from city to city.